Hello, managers. Do you want to see the collective spirit of your employees soar? Can you imagine the creative energy that will be unleashed as the people in your office happily work together to solve problems? If you want to promote an innovative and content working space, join the growing number of Portland-area offices that are discovering the excellent benefits that come from South Fork’s famous coffee service for office breakrooms. South Fork Coffee and Water Company was born in Eugene, Oregon nearly 20 years ago from a simple desire to deliver a steady supply of delicious cups of coffee to customers in Western Oregon. Our dedication to creating superior coffee has gained us a huge following among avid coffee drinkers in the region. We take full advantage of technology to make it easy for you to get your favorite coffees delivered straight to the office. Our years of coffee crafting and roasting (yes, we roast it right here!) experience has given us a firm understanding of how important it is to our customers that we take care of all of the details involved in making sure that our coffee is always available in the office breakroom. Here’s how our system works in a nutshell. We’ll work with you to plan your order and delivery schedule. A super trained delivery driver keeps your office stocked with delicious coffee and also cleans the coffee brewing machine, inventories coffee supplies, and organizes the coffee cabinet. You can go online to make changes to your order and pay your bill at any time. We take pride in having an easy to use online delivery system, and you’ll quickly appreciate the benefit of being able to interact with us whenever you find it most convenient. Would you like a few talking points to put on the whiteboard in the conference room to sell everyone on signing up for our coffee delivery program? Here are five reasons to get you started. We bring more than 30 years of roasting experience to the coffee industry that suits the tastes of even the most discerning of coffee lovers. Each bag of our gourmet coffee begins with fantastic blends of 100% Arabica beans that are carefully crafted into a blend that is both smooth and full-bodied. Delighted customers from all over Oregon buy South Fork Coffee over and over because it is that delicious. Our extensive menu of coffee flavors will keep everyone content no matter the time of day. 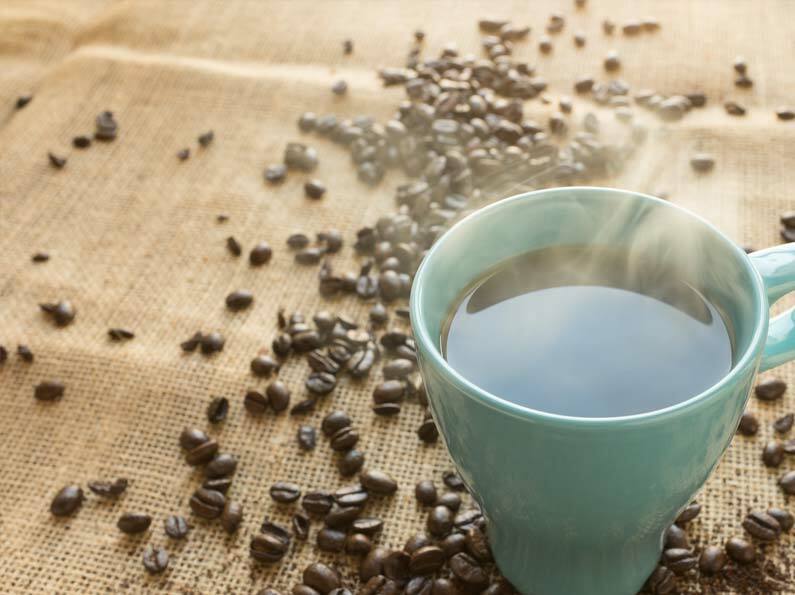 Along with providing you some of the most excellent coffee in the Portland area, we’ll also keep your office breakroom stocked with coffee creamer, sugar, hot paper cups, and lids so that a cup of South Fork Coffee is always within reach. You heard that right. It would just be a shame, especially being in the NorthWest, if we didn’t roast our own beans. Roasting our own beans means you get that perfect fresh cup of coffee. One client of ours has said that she now prefers her office coffee over her home coffee. Us coffee lovers can understand how big of a deal that is! At South Fork, running out of coffee is just a big no. You will always have your coffee when you need it. When you use our delivery system, we’ll keep track of your coffee use and make sure that your office never runs out of nearly everyone’s favorite gourmet drink. What’s more, we’ll even clean your coffee brewing machine and organize your coffee cabinet. Indeed, a British scientist from the University of Southhampton recently found that individuals who consumed about three cups of coffee each day are less likely to die early due to the health benefits that coffee provides. There is no doubt that happy workplaces are more productive and pleasant places to spend the day. As business budgets become tighter and spending on steep office perks declines, it’s vital to your success as a manager to find affordable ways to reward the hardworking employees at your business. An office break room that is kept well stocked with artisan coffee is likely to bring a smile to even the most difficult to please individual in your office. EXTRA PERK: Consider treating your employees to take-home bags of their favorite coffee as a thank you for their outstanding work. Everyone at South Fork Coffee comes to work each day dedicated to delivering fantastic coffee to offices throughout the area. From a small company in Eugene, our business has flourished, and we’ve arrived in Portland. So if you’re in the Portland area, give us a call! We would love to come and do a free coffee tasting in your office.